For someone who had started playing for Barcelona's junior level at the age of nine, Bojan Krkic had seen a lot. By the time he had turned 16, he had featured in as many as 850 matches between 1999 and 2006. Developed by Rijkaard into a potential prodigy at the Catalan club, fortunes for Krkic changed southwards with the exit of the Dutchman and the advent of Pep Guardiola. Guardiola, spoilt for riches with talents like Messi, Iniesta & co. couldn't find a place for the young Spanish-born striker of Serbian origin in the starting line-up of Barcelona's main playing eleven on a regular basis. Spread over three seasons from 2007 to 2011, Krkic, who became the youngest player to score a goal in La Liga, featured in only 50 appearances for the Catalan club and notched up a total of 14 goals, unimpressive for someone who showed such immense promise early on in his career. A frustrated Krkic left for Italy in 2011, where he joined AS Roma on a transfer fee of €12 million. In his 33 matches for the club, he scored 7 times. His on-loan tenure at AC Milan from 2012 to 2013 saw him figure in 19 matches and just 3 goals to his name. Surprisingly he was back at Barcelona for a transfer fee of €13 million. He didn't have to warm benches for long there, as he found himself off to Netherlands on a loan-deal to AFC Ajax. He got his first goal in a 4-0 win over ADO Den Haag after an absence of eight weeks owing to a hamstrung injury. He ended up playing 24 matches for Ajax scoring 5 goals and helping his club attain their 33rd Dutch League title and a fourth in row. English club Stoke City evinced interest in the 24-year old footballer and a €1.8 million deal saw him move to Britannia Stadium in July 2014 on a four-year contract. He debuted in the EPL in 2-2 draw against West Ham. His first goal came against Tottenham Hotspur after some beautiful bit of dribbling and a shot taken just from outside the box. Stoke beat the Spurs 2-1 in that game. Krkic again scored in a 3-2 win against Arsenal following it up with another one in a 1-0 victory over Everton. His stock at Stoke City was on the rise. His 20-yard left footed volley to open the score in a 4-1 FA Cup win against Rochdale would probably is among the best in the tournament so far. Stoke City seemed to have found a striker who had the temperament to score on big occasions. But that was short-lived. In that match against Rochdale, as Krkic made another run towards the goal his knees gave away and he had to leave the ground on crutches. What was more damning that a cruciate ligament injury to his left foot would have to undergo surgery, which rules him out for five to six months and for the rest of the season. Krkic who scored 5 goals in the past 10 appearances will leave a gaping hole in Stoke's attacking arsenal. Club manager, Mark Hughes, lamented the loss of Krkic who he felt was making such a great impact on the club's fortunes and truly enjoying his football. Stoke City are in the 10th spot in the EPL rankings currently and they owe it to the young Spaniard's heroics for that. 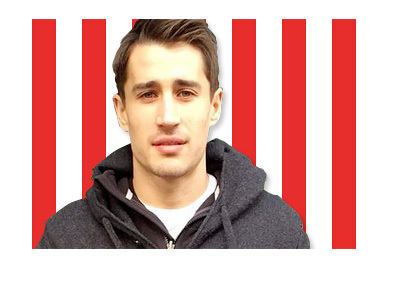 Poor Bojan Krkic has been snuffed out once again, especially at a time when he was finding the form of his life.